The FGCU Athletics Department named women’s golfer Mei Khuan Yong and men’s golfer Austin Schultz as recipients of the FGCU Athletics Scholar-Athlete of the Month award for April. Those selected for this award have exhibited a combination of superior athletic and overall academic success, which both Yong and Schultz have displayed throughout the school year on and off the golf course. Yong played every tournament during the 2015-16 season with 28 rounds carded, producing the team’s best finish in six events, including the final five events of the regular season. Yong also earned First Team All-Conference after placing among the league’s top-10 at the 2016 Atlantic Sun Conference Championship with a score of 227. She finished the year with a 75.29 stroke average, ranking fourth among all A-Sun golfers. 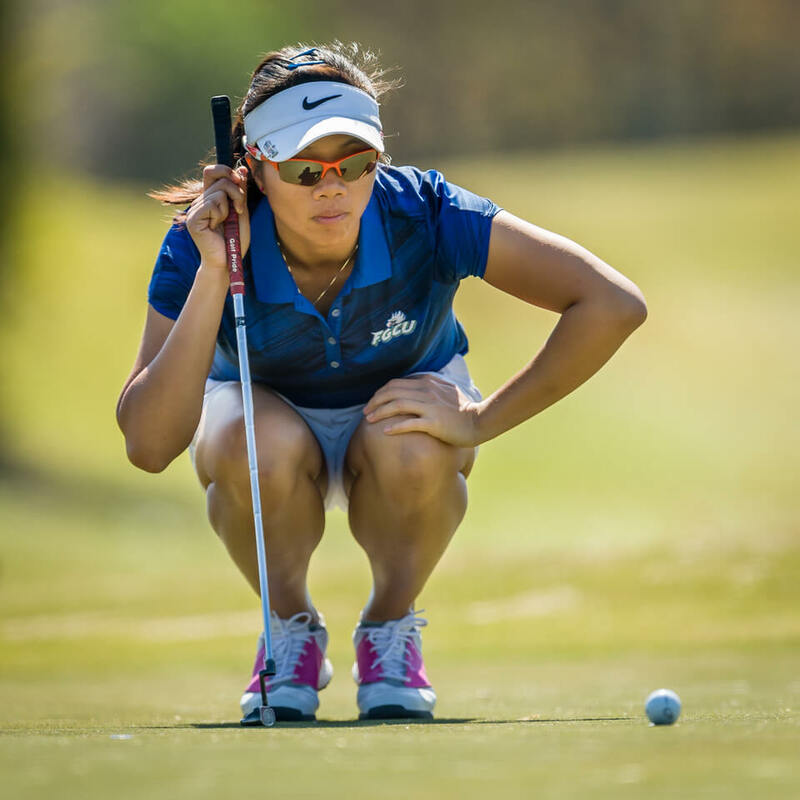 Off the course, Yong maintains a GPA of 3.99 as a professional golf management major, which she will complete this summer. She is a seven-time president’s list recipient for turning in a perfect 4.0 GPA, one-time dean’s list recipient and an FGCU Athletics Academics Honors Luncheon Honoree for the past three years. Schultz competed in all nine tournaments during the 2016 season and led the team with a 74.19 scoring average. He finished in the top-25 in every tournament except one this past year. He finished the year with 80 birdies, the 14th-most in single-season program history. Schultz was also the runner-up at the A-Sun Championship with a score of 213. During his time at FGCU, Schultz maintained a GPA of 3.77 as a psychology major. He is a one-time president’s list recipient for the spring 2015 semester and a three-time member of the dean’s list for turning in a GPA of 3.5 or higher for the fall 2014, fall 2015 and spring 2016 semesters. Schultz was also FGCU’s first men’s golfer to earn the honor of A-Sun’s Scholar-Athlete of the Year.